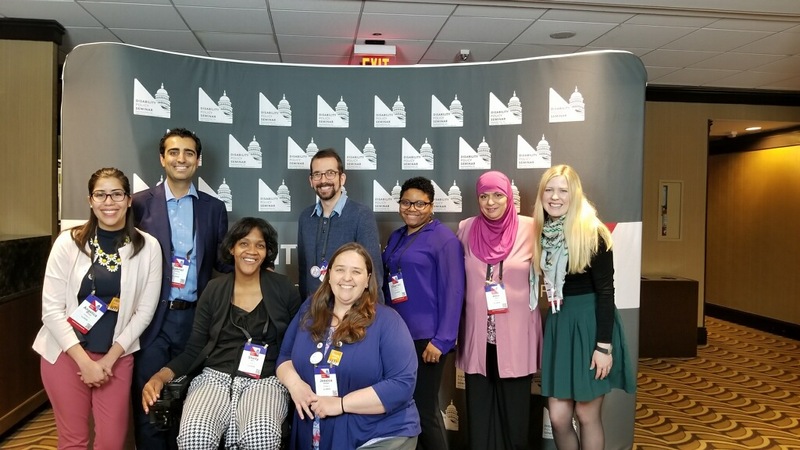 Picture above: Angelica Martinez, Gabriel Anzueto, Shelly Berry, Brian Grossman, Jessica Buettner, Charron Johnson, Abla Gharib, and Brianna Lambrecht at the 2018 Disability Policy Seminar in DC. I applied to LEND because I was looking for ways to be more involved in the disability community. By learning more about the various fields that support people with disabilities, I am able to figure out how I can best support my brother, and others with disabilities. 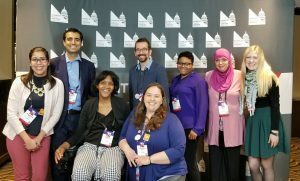 When I learned of the opportunity to go to Washington DC to participate in the 2018 Disability Policy Seminar, I recognized that it would be a good opportunity to learn about policies, and how to advocate for change, something I had little experience with. From the Summit on Sunday with a chance to participate in a mock hill visit to the general sessions I attended, and the breakout sessions I attended on How to Have Successful Hill Visits, Advancing Community Integration, Basics of Medicaid and Social Security and the Federal Funding Update, there was so much great information, and so many people to learn from. Visiting with a Senator’s staff seemed intimidating, but we were provided with good information, and we were reminded that as long as we used our voices and told our stories, we did what we were there to do. Our Hill Visits went well, and the staff we met with was very welcoming, encouraging, and receptive to the discussions we wanted to have. I recommend that anyone considering going does go (and remember to wear comfortable shoes! ).